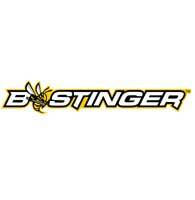 Headquartered in American Fork, Utah., Bee Stinger is a leading manufacturer of hunting and target shooting bow stabilizers as well as mounting hardware and weights. Bee Stinger stabilizers are engineered to deliver the advantages your bow needs to achieve its peak performance. For more information about Bee Stinger products visit www.beestinger.com.